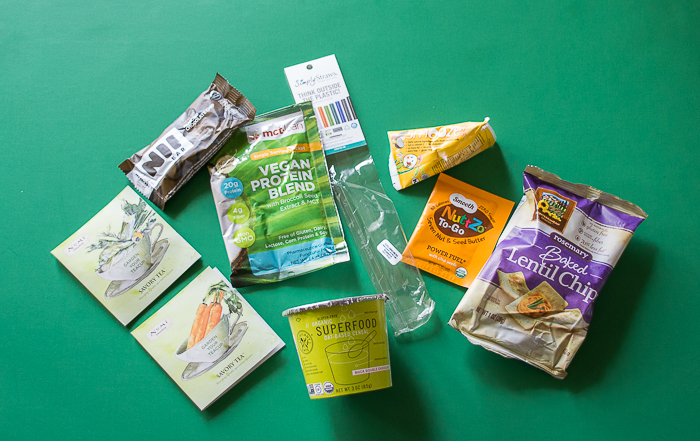 A review of April 2014’s Vegan Cuts Snack Box. Description: Reusable, BPA-free glass drinking straws that can be used for both cold and hot beverages. Super cute straw! It even has the Vegan Cuts ‘logo’ etched into the glass. We got a short straw and I love it for the smaller nutri-bullet cup and juice glasses. It’s dishwasher safe and my first glass straw! Description: An organic, gourmet nut butter made from a blend of seven nuts and seeds, plus a hint of salt—nothing else. You would absolutely recognize this nut butter at the store (I’ve even seen them at the big chains). It comes with the lid on the bottom. It’s tasty and has a nice blend of aminos due to the varying protein sources. Also, it’s peanut-free! Great for friends and family with allergies. Description: A vanilla-flavored pea and rice protein powder that provides high-fiber, on-the-go energy. Delicious. I blended this with a ripe banana, almond milk, and a little ice. 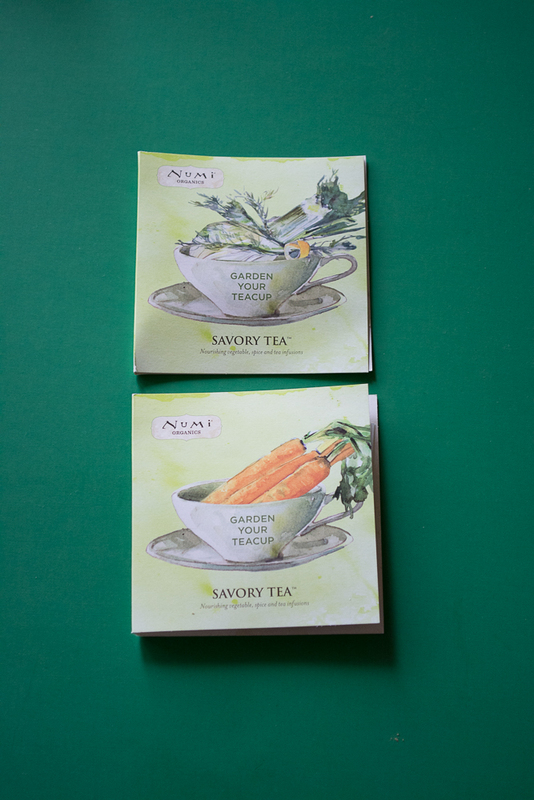 Savory Tea Description: Savory tea samples that combine organic vegetables, wild herbs, decaf tea, and aromatic spices. Fennel Spice Description: Coaxed by the soothing scents of freshly cut fennel, this crisp concoction will transport you to the enchanting European countryside. The soaring flavors of sweet licorice envelop the earthy fullness of celery root while slivers of orange peel and decaf green tea delight the palate. Carrot Curry Description: Be transported to the heart of India with the rich exotic flavors of curry, turmeric and ginger. Kissed by sweet carrots and bright cilantro, the earthy, vegetal and piquant notes are marvelously woven together into this full-bodied blend. Description: Inspired by the balanced lifestyle and flavorful cuisine of the Mediterranean, our Baked Lentil Chips® are made from protein-rich lentils, and are naturally gluten-free. These delicious chips are authentic, trans-fat free and vegetarian, made from fresh, inviting flavors and wholesome ingredients of the region. 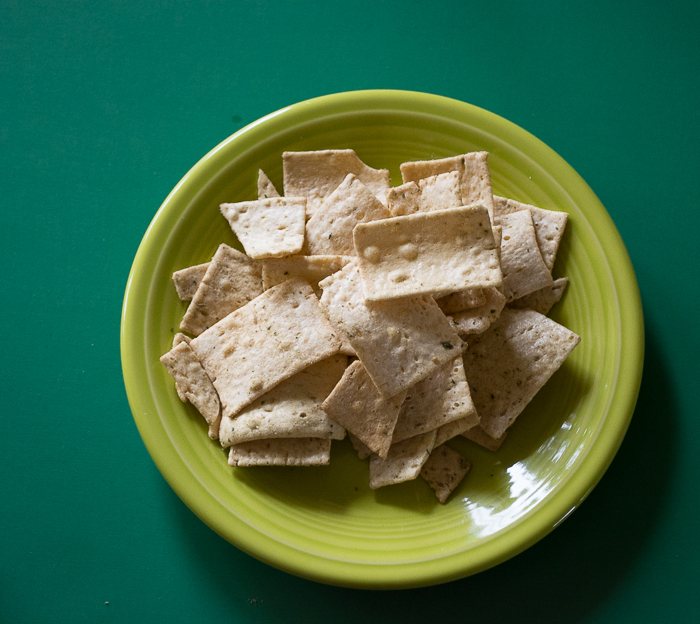 At Mediterranean Snacks®, we embrace better-for-you choices, combining a healthy attitude with an active lifestyle and these nutritious crunchy snacks! Ingredients: bean flour, potato and/or pea starch, potato fiber, high oleic sunflower oil, and seasoning. 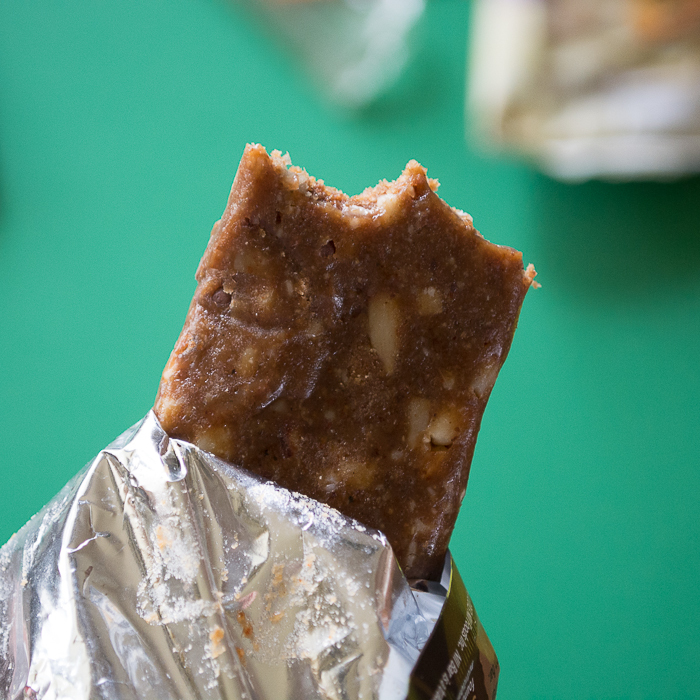 Description: An organic, almond butter-based nutrition bar studded with chocolate chips and omega-rich seeds. Ingredients: Organic raw almond butter, organic dark chocolate (organic cane sugar, organic cocoa liquor, organic cocoa butter, organic vanilla, sunflower lecithin), organic dates, organic tapioca syrup, organic almonds, organic coconut nectar, organic rice protein, organic sunflower seeds, organic sprouted quinoa, organic hemp seeds, organic walnuts, organic vanilla extract. OMG. Heaven sent. I liked this bar better than Lara Bars. 😳 The little nuggets of chocolate chips were especially awesome. Description: Oat-based superfood cereal that combines maca, vanilla, hemp, and cacao nibs for a delicious start to the morning. 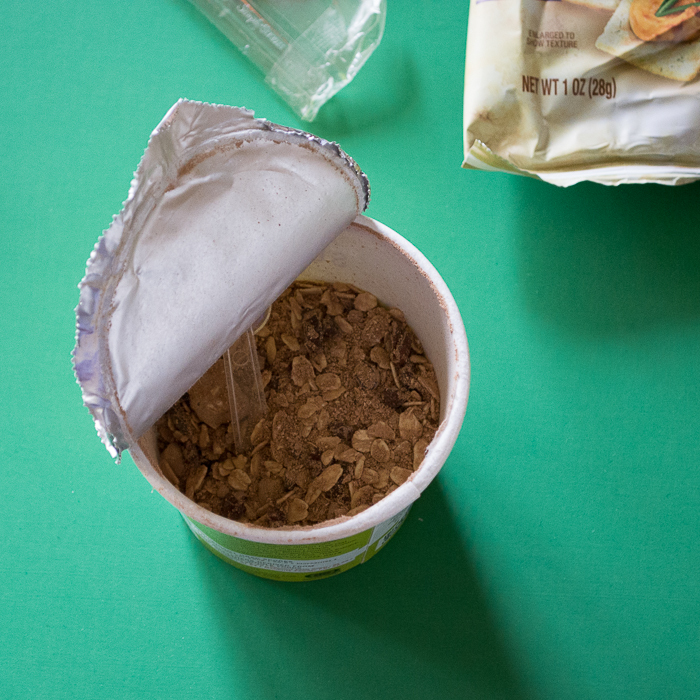 It’s perfectly fine cereal and probably great for traveling, hurried mornings, and breakfasts at work. I just prefer boiling my old-fashioned oats on the stove and how their texture feels and tastes.